Rats can harbor and transmit a number of serious diseases. They can also introduce disease-carrying parasites such as fleas and ticks into your home. Their feeding habits are destructive, and their nesting behaviors can compromise the structure of infested home. Rats gnaw incessantly on materials such as plastic and wood. The presence of damaged materials and large holes in floorboards/walls are sure signs of infestation. More obvious signs are the presence of dead or living rats. Rats prefer to hide, given enough space, so if rats are observed in the open, it is likely that a full infestation already exists. 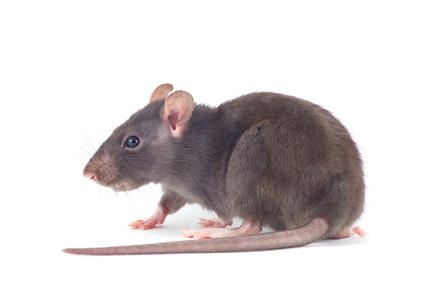 Rats also tend to leave dirt or grease marks along walls and floorboards or droppings within the home. If you suspect an infestation, it is important to contact a professional; though traps are available they are usually ineffective.